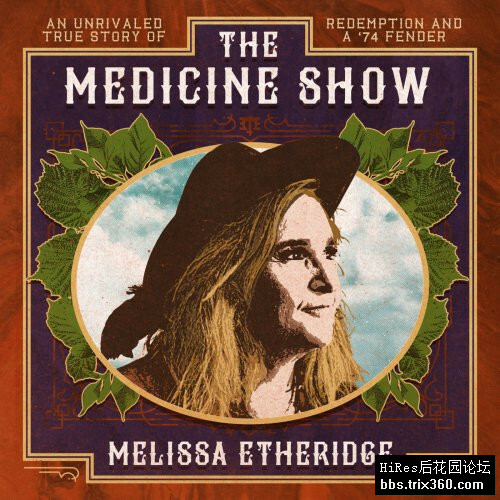 The Medicine Show is Melissa Etheridge’s fifteenth studio record and her first original material since her 2014 album, This Is ME, following her critically acclaimed Stax tribute record, MEmphis Rock and Soul. Produced by longtime collaborator John Shanks, The Medicine Show features some of her most honest songwriting to date, paired with beautiful instrumentation and her signature roaring guitar. The first single from the album, "Faded By Design", was premiered by Rolling Stone who called it "a proud declaration of resilience," and noted the "folky acoustic-guitar riff...builds to an upbeat chorus." Describing the rocking, anthemic new track and album, Melissa explains, "The sound of the song and the whole record is purposefully aimed at that 90’s rock sound. When rock was moody and fierce. ‘Faded’ is spot on a Melissa Etheridge song. You know it from the first few notes. I wrote it on my twelve string and kept it true to that sound."